Before you read this review, go ahead and order the novel. Run to your local bookstore, click on the purchase icon online, check it out from the library. Regardless, get yourself a copy. I’ll wait till you come back. Okay, so you have your copy. You might want to pay your bills, use the restroom, and say bye to your family because you will not come up for air until you are finished reading. Single mother Kate is in the midst of a huge career changing meeting when she receives a phone call from her daughter Amelia’s swanky Brooklyn private school. Amelia has been suspended for cheating. Kate is shocked and promises to be there quickly to retrieve her daughter, who cannot leave until her mother picks her up. But as happens in life, one thing leads to another, leads to another, and Kate runs late. By the time she arrives at the school, Amelia is dead, having jumped off the roof. Aside from her obvious grief and shock, Kate spirals into orbit. She wants to know why. Why did Amelia kill herself? They were so close, this mother and daughter, weren’t they? Weren’t they? Didn’t Kate know everything about her daughter? Sure, sacrifices were made along the way; you don’t cultivate a successful career without foregoing some family time. But still. Kate was always there for Amelia when it mattered. Right? Right? Kimberly McCreight layers her novel with several mysteries. The central question – why did Amelia kill herself – almost becomes the least important. We want to know who Amelia’s father is. We want to know why Amelia’s best friend seems bitter and angry toward her. We want to know what the school is covering up. We want to know what happened on that roof. Kate’s intrigue increases when she begins receiving mysterious texts. Reading through Amelia’s cell phone and emails, she begins to fill in some of the blanks. 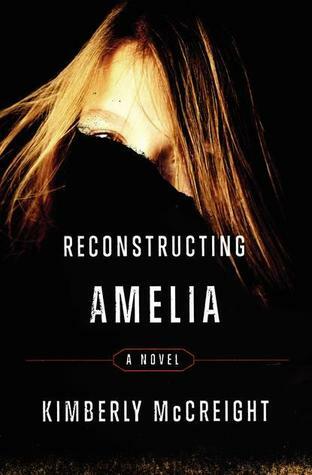 We as readers also get into Amelia’s head, as McCreight tells the story from both Kate’s and Amelia’s points of view. Amelia helps us see what Kate misses, which makes our empathy with Kate all the more intense. We feel Kate’s frustration and pain; we want to help her understand her daughter. It would be one thing if Kate was the only character fully developed. But Amelia is, too. Nothing about either rings false. We may not agree with Kate’s reasons for concealing the identity of Amelia’s father, but we understand why she does it. We certainly relate to Amelia’s high school agonies, both with her bestie and with her first love. Those friends of hers? We know them. We went to high school with people just like them. When Amelia reacts as we would have reacted, it makes her that much more important to us, which in turn strengthens our bond with Kate. It is a testament to McCreight that she gives us characters we not only like but know. There may not be many moments you don’t see coming, but the tension and intrigue build to such a degree that you will be hard pressed to put down this book. You want questions answered, just as you want Kate to find peace. And Amelia too, for that matter. I could not stop thinking about this book when I finished it, and I find myself missing Kate. If that isn’t an indication of an author’s work done well, I can’t think of what is.